123SOW are pleased to announce the latest Challenge added to 123SOW – Key Stage 1 Graphics! In this challenge pupils will be guided through the process of researching a famous person and sketching their likeness using an app or software to trace over a photograph or picture. Pupils will then prepare some facts about their chosen person’s life to create a monologue to present this information by turning their graphical image into an animated face. 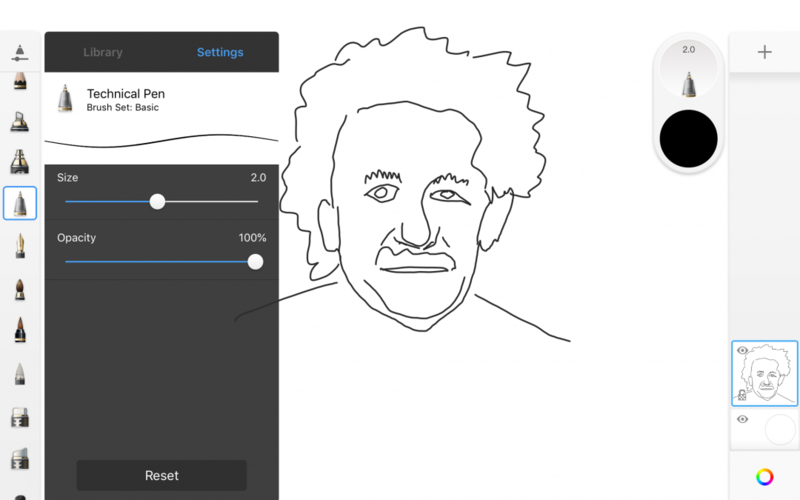 This challenge is suitable for any graphics program on any device but the touch interface of the iPad makes it easier to achieve the best results. At various points throughout Key Stage 2 pupils should be given an opportunity to attempt to write a program with the minimum of teacher input. This program acts as a simple assessment task and allows the opportunity for the pupil to reflect on their own learning in completing a can-do assessment. These tasks might mimic a recently taught task such as setting pupils the challenge to write a knock-knock joke just after completing the Scratch Animation challenge. For older pupils you might ask them to create a different type of game of their own design as a project following the Scratch game challenge. This allows pupils to put into use programming concepts they have just been taught. Once the task has been completed encourage pupils to screen-shot their programs (being the easiest way to capture evidence) and paste these screen shots into a program such as Word. From here more able students should be able to annotate their work using text boxes and arrows, or you can simply print the screenshots and write over them in coloured pens or pencils. 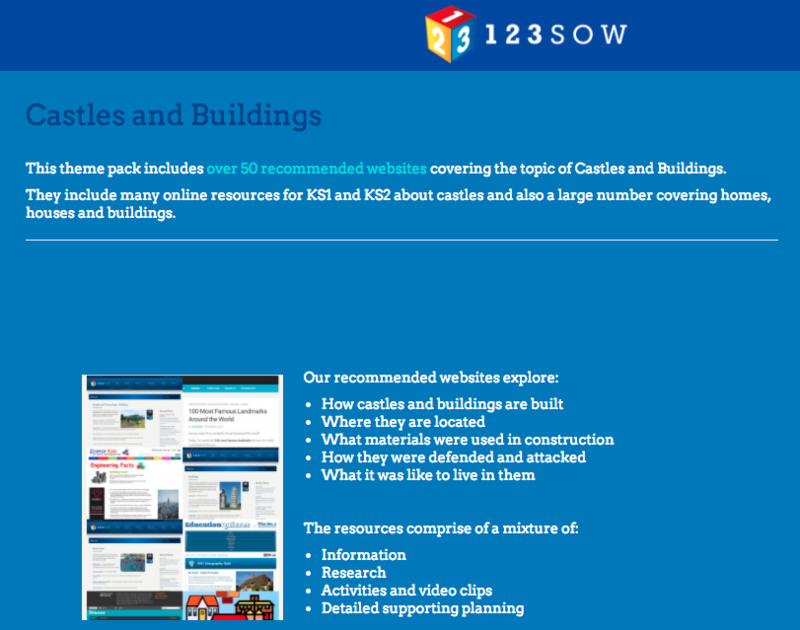 The grid page for KS2 Programming inside 123SOW includes downloadable can-do assessment sheets which can be used to scaffold reflections. It should be made clear to pupils that not all objectives will be present in all work. It is as important for pupils to recognise that they have NOT included certain aspects in their programs as it is that they can identify correctly the aspects they have included! If you are looking for a Computing programming challenge, enabling your pupils to program a relatively cheap (~£12 each) controllable device, then look no further than the KS2 MicroBits Introduction challenge. 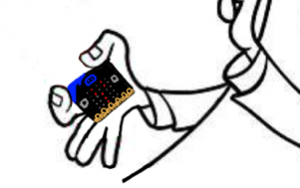 MicroBits are simple computers with a range of inputs from buttons to positioning data and temperature sensors. They have outputs, such as an array of 25 LEDs, and can be linked to motors, lights etc easily. MicroBits can be programmed using repetition and selection and also support variables via a simple web-based block programming language similar to Scratch. MicroBits are programmed on a computer (PC/Chromebook) or on an iPad. Programs are transferred to the MicroBits to run via USB cable or using wireless in the case of the iPad or can be run in a virtual emulator on the programming page. Programs can make use of the same wireless communication allowing one MicroBit to talk to another! 123SOW Beta Testers can try out their algorithms and find out more in the KS2 Programming section of the grid or from the planner. It is also our “Featured Challenge” for April. This challenge helps you cover much of the data part of the Key Stage 2 National Curriculum for Computing. We use spreadsheets to tabulate data from a survey and then use the graphing function to turn the tables into charts or graphs to help us to analyse and interpret the data. In the challenge example we look at recording and interpreting traffic data outside the school but you could just as easily change the focus to look at data on pupils in your class such as height, eye colour or even favourite food, crisp flavours, music or more. The second part of this challenge looks at using spreadsheets to help us model data. We look to plan an end of year barbecue in our example. We use formulas to help add up costs and find costs per item. We can then model costs and also income from ticket sales by changing values on the spreadsheet or by altering formulas. We can also use the spreadsheet to help us present our final model in creating tables and charts for use in a report or presentation. 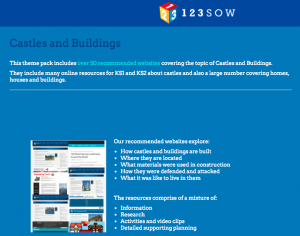 This means that 123SOW teachers can now combine themes with challenges and their own custom resources to change the content of their scheme of work to suit their whole-school curriculum.